PS-The last one is the best. I’m not sure how far you can get in this, but there are several laughs. Perhaps my favorite is the horn blowing at 3:00 mark. Way to ruin a wedding. Woops! VIDEO: Kill The Devil With Your Shoe! This is very bizarre. This pastor throws his shoes at a mock-up of the Devil. And then everyone in the church follows his lead. The best is the lady at the end beating Satan with her crutch and the other walloping him with her purse. I wish I knew all I needed a pair if Adidas to defeat evil. Here is bizarre video depicting people waiting to get raptured. My favorite part is the flying at about the 6:00 mark. Enjoy! This is a teaching on heaven from the 60’s (I think). It is CREEPY! Watch it because it gets even weirder as you go on. VERY strange part at the 2:19 mark. See you in heaven! This is hilarious (and sad). FULL POINT! Okay, so I thought I’d continue the theme from Monday in which I discussed homeschooling being made illegal. Here is a hilarious lunchtime man-on-the-street interview of public school students in one of America’s many high schools. It is also scary when you consider that: 1) we pay millions as tax payers for these results and 2) these kids will become adults and vote. For me, it also functions as a defacto PSA for private and charter schools and homeschooling. 1. What should you do if you or your girlfriend become pregnant? 2. Where can you find free contraceptives? 3. Have you ever done drugs, or are you high right now? should the government take care of all of us? Okay, time to switch up a little. This video will only make sense if: 1) you have young children and they watch Pingu and 2) one of your favorite all-time sci-fi movies is John Carpenter’s The Thing. If you are part of that .001% of people this parody is pure GENIUS! It’s a cold hard truth. There were many times in over the 25 years of my faith that I thought it wasn’t true. I dressed differently, talked differently, listened to the right music, and watched to right TV shows and movies (that way I could ‘fit in’ at work when everyone talked about the latest episodes etc.). I even got a tattoo. >Christianity isn’t and never will be cool. 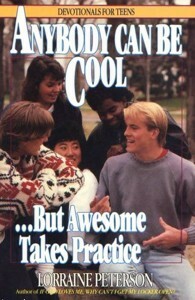 It’s painful to think that someone else who also called themselves a Christian wrote a book called Anybody Can Be Cool…But Awesome Takes Practice. This person even thought it was relevant and ‘cutting edge’. Let’s be clear, this book isn’t and never was cool or awesome. Seeing this just makes me feel nauseous (not cool or awesome). In the eyes of culture, it’s not trendy, cool, or displaying total awesomeness to stay married, do your job at work, get to work on time, be a father or mother to your kids, drive an old car to save money, or drive the speed limit. Instead it’s ‘cool’ to quit school to tour in a band. It’s ‘cool’ to leave your family for a French model and ‘follow your heart’. It’s ‘awesome’ to quite your job in a frenzy and go paint landscapes–because it’s ‘your calling’ and all. You get the idea. >But I don’t care about cool or awesome anymore. That will be truly awesome. So I suppose I am practicing that kind of awesome. It’s lame. I know, but oh well. It’s the right thing to do. PS-If you want to get a REALLY good laugh, read the reviews of this book at amazon.com by clicking here. This guy is hilarious. I could never get away with this. A lot people like this stuff. There’s something about Pentecostal preaching that makes me nervous–just being honest. Either way, the best part of this clip is the lady trying to do sign language in the bottom left of the screen. Get revived! You know you’ve been there. Sometimes it’s unavoidable. 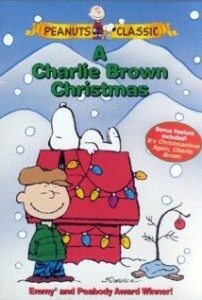 If you around my age then you LOVE A Charlie Brown Christmas. The beloved Snoopy, Linus, and Pig-Pen, and Charlie bring humor and comfort. I’ve watched it every year for my whole life. And now I watch it with my kids, who seem to enjoy it too. >1. Linus’ “True Meaning of Christmas” speech was almost cut! Can you believe the speech by Linus was almost cut? The best part! Can you imagine? Okay, I know that it isn’t New Year’s yet. But I watched this over the weekend and HAD to post it. Here is a video that will cary you through this crazy week as you try to balance and tie up all your loose ends. It is a collection of the best FAILS of 2011–and it is HILARIOUS! Warning: there are 3 or 4 bad words over the 12 minutes. ENJOY!